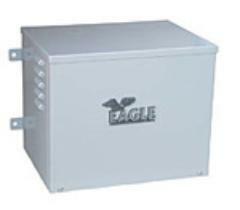 The Eagle Power Battery Back up System allows the normal operation of the gate during power failure. This allows the Operator to maintain UL325 and UL991 Compliance throughout an outage! Extra Power Pack to 140Ah.